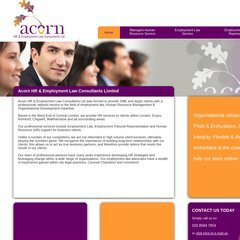 acornhr.co.uk Contact Acorn HR and Employment Law Consultants - Human Resources .. It is hosted by Keith Cassidy Ip Range 2 (England, Warwickshire,) using Apache/2 web server. PHP/5.2.17 is its coding language environment. ns1.wvwdns.com, and ns0.wvwdns.com are its DNS Nameservers. PING (78.110.160.10) 56(84) bytes of data.